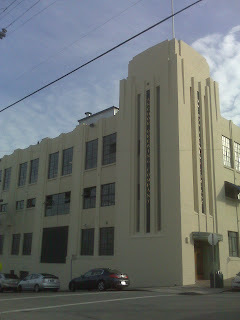 I had a pickup at the Anchor Steam brewery on Mariposa. Amazingly, they've always let me drink beers at their tasting room when I'm there to pick up a package. I mean, every single time I've been there, they've let me drink pints of beer, for free. The tasting room is right next to their offices. Last time I went though it didn't happen. A tour was in progress which they said I could join, but no free beer at that moment. First time walking out of there without a buzz. 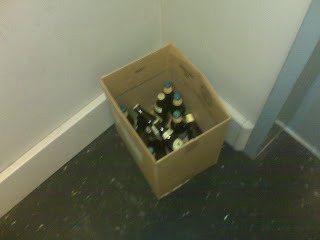 Then an hour later at 595 Market I came across this box of beer next to the freight elevator. Bottles of Anchor Steam and Guinness. I put some of the former in my bag. Beer Gods, thank you. what's wrong with our beer that we gave you? beer hoarder. let's just call it "finding beer"
it was "cervezas perdidas"! the question is, was it "contaminatos"?